The fourth book in the scorching hot NEW YORK TIMES bestselling MARKED MEN New Adult series. 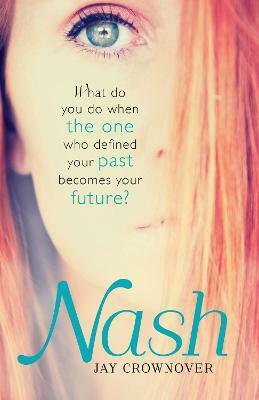 What do you do when the one who defined your past becomes your future? Can she forgive the first man to steal her heart - and herself - for the mistakes of the past? Jay Crownover is the New York Times and USA Today bestselling author of the Marked Men and Welcome to the Point series. Like her characters, she is a big fan of tattoos. She loves music and wishes she could be a rock star, but since she has no aptitude for singing or instrument playing, she'll settle for writing stories with interesting characters and make the reader feel something. She lives in Colorado with her three dogs.